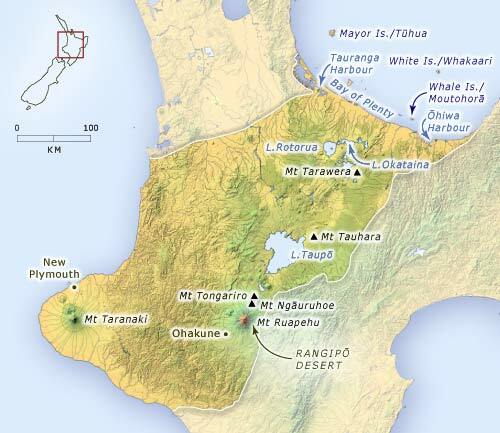 The central part of the North Island shows evidence of young volcanic activity. There are striking volcanic mountains such as Taranaki, Ruapehu and Tarawera, lakes formed by volcanic activity, such as Taupō and Rotorua, and a thick mantle of volcanic ash over the whole region. This map shows the location of places mentioned in the text.